Asia's premier hospitality marketing company working with the world's best hotel brands last month announced "Revenue Nights by Internet Moguls." 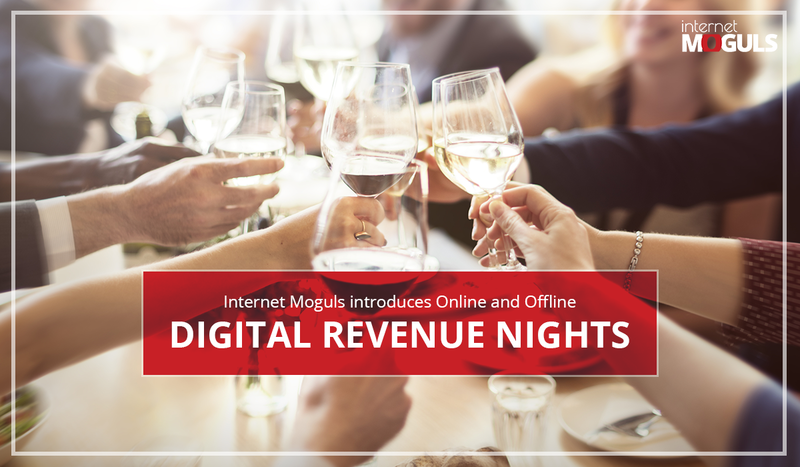 Asia's premier hospitality marketing company working with the world's best hotel brands last month announced "Revenue Nights by Internet Moguls". Chief Mogul Avijit Arya said hoteliers need to meet, mingle and work as a team to understand why they are losing business to third parties and how to work with third parties and to understand pricing Competition and how deeply digital strategies are intertwined with revenue management's best practices. The company invites hoteliers from across the world to sign up for the revenue management and digital marketing sessions that it conducts at their offices and sometimes at their client's restaurants, pubs and clubs (over 900 members from 25 countries are already members of the club till April of 2016). It's like a membership to the club; it's not for once a year drop in, rather it's for committed members who want to form an inner circle/club to learn together and advance their careers and advance their hotel businesses. Internet Moguls has been conducting these sessions in London, Dubai and Canada with hotel groups and now announcing these meet ups over drinks and some very delicious snacks in India and interested hoteliers are invited to log into the @askaviarya Facebook page and send in their requests for the next meet up. The link here leads to the company's YouTube channel which covers video sessions for those who are not able to attend the sessions in person and want live access to the videos online: http://youtu.be/x6tyBchXoWQ. Who else but India's most respected hospitality agency to take the mantle of revenue and digital to smaller and mid size hotel across India. Stay tuned for the monthly revenue nights where revenue managers mingle. Share strengths to make Indian hotels great.